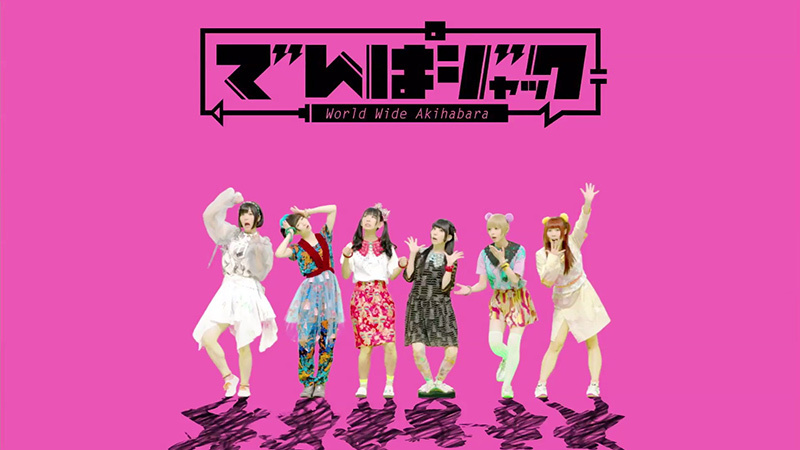 Broadcasting Otaku culture from Akihabara to the world! It’s on midnight every Sunday on Fuji-TV channels. This program brings you Otaku culture such as animation, Manga, games, idols, costume play, character figures, coterie magazines that represent Japan today. 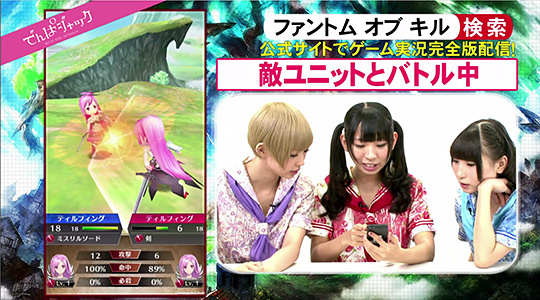 The program is broadcasted from Akihabara, where Dempa-gumi, inc. is based to the world. To bring you the real Otaku culture accurately, Dempa-gumi, inc. members run around hard to report! We will connect maids with each other in Akihabara. 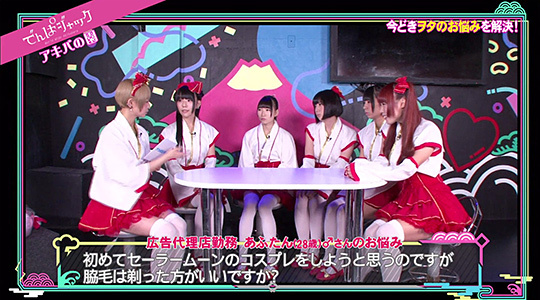 When we visit a Maid-café a maid there will introduce another maid in a different café to make it like a relay, so we will visit all the maid cafes in Akihabara. We will show you variety of cafes, from authentic maid café to modern ones with radical concepts. Now, who do you think is the cutest maid? Akihabara is Mecca for Otaku. There are unexpectedly posh spots in that deep world of collectors, though. As you see around the latest Akihabara, you can virtually experience your dream of “what if I go out for a date with an idol?” in this section. 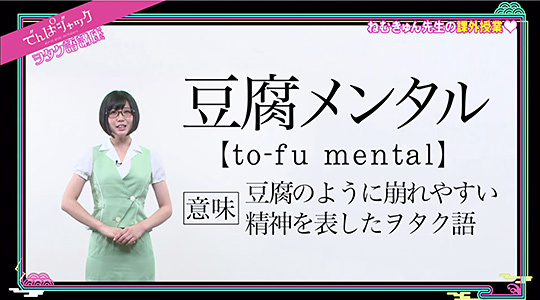 We explain unique jargon used by Japanese Otaku and internet users by conversations of working girls. You can use them from as soon as tomorrow! With its world’s largest volume of sales in coterie magazines, Toranoana store clerk introduces really hot and deep coterie magazines. You can be addicted to them! 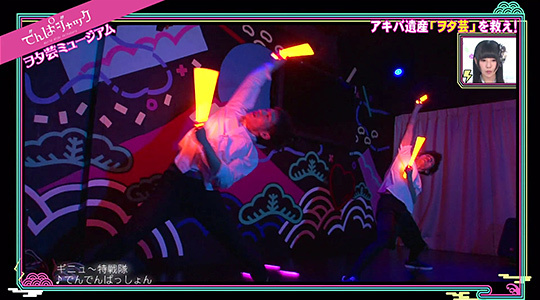 In live concerts, Otaku dance is often limited and there is not enough chance to perform it. But it’s a shame to let it disappear! 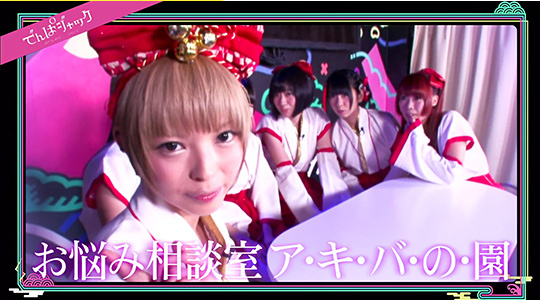 In this section, Otaku performers will show you their Otaku dance to their hearts’ content and leave their recordings. Dempa-gumi solves problems today’s Japanese Otaku have. Dempa members sincerely discuss their worries, from trifles to eccentric ones. This program is sold to overseas TV stations.